The snow has fallen and it’s finally time to hit the slopes! Ideally, you can simply throw your gear in your car, tell your buddies to jump in and you’re off. Realistically, you may find yourself spending 20 minutes trying to find your goggles and your left glove… Rid your hooky day worries with these 4 Quick powder day tips! Playing Jenga during the early hours of the day is never fun – especially if it involves putting two snowboards, a set of skis, poles, three jackets, three snow pants, hats, gloves, helmets and boots all in your car in a perfect way so three adults can comfortably sit for the next hour and a half. Do yourself and your friends a favor and pre-pack the car or at least think out how you want to organize all your gear. Does your car have a roof rack? Or maybe you strapped down your skis and boards up there? Knowing the exact height of your vehicle is crucial when driving up to the slopes. Many tunnels, garages and tree branches could become driving hazards if you don’t know exactly how tall your vehicle is. Knowing this number and having it visible on your dash or center console will keep you out of trouble because many of these hazards are labeled with an exact height and the words ‘Low Clearance’. With snow on the ground and your vehicle packed with your gear, assure yourself and your passengers that your vehicle is evenly distributed. Off centered weight in a vehicle plus snow on the ground can cause your vehicle’s handling to be affected drastically. Understanding your car’s weight distribution prior to heading up those winding mountain roads is crucial for you and your passenger’s safety. If you have a small chip or crack in your windshield and you’re thinking of heading up to the mountains, call us immediately. Small chips and cracks may expand when heading into cooler weather such as the mountains. 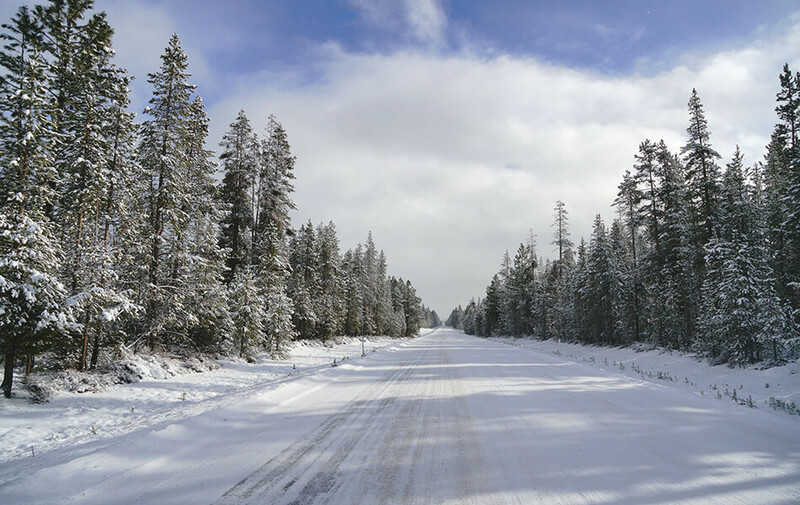 With a warm interior to keep your toes warm during the trip and frigid air outside the glass, chips can turn into cracks and cracks can run across your entire windshield. Save yourself from having to fully replace your windshield and call us for a quick chip or minor crack repair. With these four tips, we hope you have an awesome and safe powder day this winter! From all of us at Quick-Set Auto Glass, drive safely out there!